Some types of situations may concern you, but may not have you convinced your dog needs immediate care. In these cases, it is still best to err on the side of caution. Please call or just come into the our veterinary hospital during regular office hours or one of the local emergency animal hospital in our area after hours. . If you decide to call, our staff will do our best to help you decide the best course. Unfortunately, dogs will quite often mask symptoms and it may be difficult to determine the seriousness of the illness. We are here for you and will take care of your dog in the best way possible. 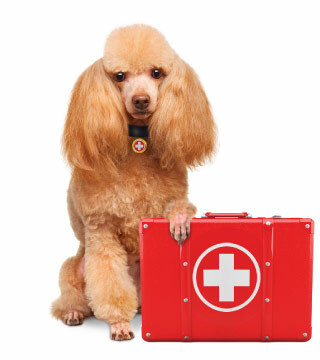 The above list is not exhaustive and there are many more situations that may necessitate emergency care for dogs. If the situation appears immediately life threatening, please call us immediately or simply bring your dog to our hospital at 1050 South Rampart Boulevard.